XO Rides is a nationwide company that offers exotic car rentals in Baltimore, MD and in every other major city in the country. 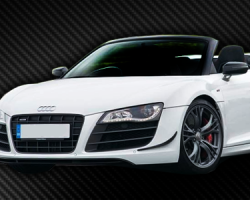 With sports cars from Ferrari and Lamborghini as well as classic cars from makers like Cadillac, this company can rent exotic cars to suit any style and taste. You can ride in one of these vehicles across the country, rent one to celebrate your bachelor party or whisk your partner away as a newly married couple. Whatever your occasion, these cars will always make a statement. 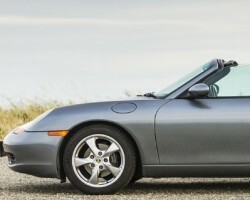 From back roads-ready to upscale luxury vehicles, from fast and fun sports cars to high-end convertibles, you can access a number of unique luxury rentals from their local owners through Turo Car Rentals in Baltimore, MD. They stand out from traditionalluxury car rental agencies in the city because of the affordability and accessibility of the rides. Turo services are accessible to clients on the go and in their homes. Deliveries are often free and rentals uncomplicated. It is becoming more and more common for trusted vacation rental car companies to offer a more luxurious line of vehicles to meet the growing standards and evolving tastes of their customers. Avis is one of the companies expanding to offer more luxurious vehicles to their customers. Whether you want something more comfortable for a long romantic getaway or would like an elite car for wedding day travels, this company can make it happen with a beautifully maintained car from their extensive fleet. 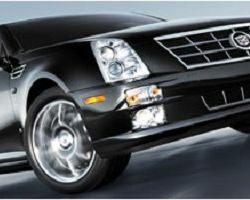 For a leisurely joyride or transportation to your special occasion,you need to upgrade your wheels. Renting a limo is a cliché. Go out of your comfort zone and rent one of the exotic carsyou’ve always dreamt of driving. Exotic Car Rental of Baltimore is willing to make your dreams come true. They have an ever-growing collection of luxury and exotic vehicles, which include the 2012 Chevrolet Camaro 2SS convertible to turn your event or joyride into a memorable occasion. Dreaming of experiencing the unbridled joy of sliding behind the wheel of a thoroughbred super car with nothing but open road in front of you? Great American Days is in the business of making such dreams come true by giving their clients a slice of driving heaven. Their supercar fleet in Baltimore, MD includes the Gallardo, Aston Martin and the Ferrari F430, amazing machines that are beautiful as they are powerful. Gift yourself fa fast and furious experience from Great American Days. Do you want to experience the adrenaline rush of driving a super car or nostalgia of a luxury vintage in Baltimore, MD? You do not have to buy one. Mach 5 exotic car rentalcan make your dream a reality. 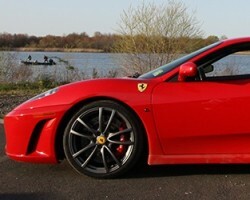 At very affordable rates, this exotic car rental company rents out some of the most exotic vehicles in the world. They have a huge collection comprising the powerful Range Rover supercharged, the sleek Mercedes SLS and the luxurious Bentley to mention but a few. Without high-end service, renting an exotic car is not all it’s advertised to be. You will always feel cheated when you rent exotic cars in Baltimore and fail to receive the VIP treatment super car buyers ought to get. 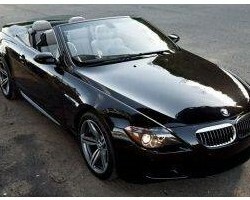 Gotham Dream Car Rentals Maryland makes sure that clients are not subjected to such injustices. They have a fleet of world-class elite cars such as the Lamborghini Murcielago LP 640 Coupe and The Rolls RoycePhantom accessible in Baltimore. 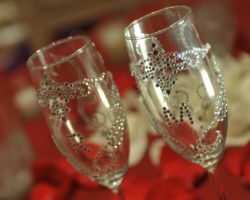 The Hilton Baltimore BWI Airport is more than just a beautiful wedding venue; it is also the home of some of the most experienced wedding planners in the business. These planners have extensive experience planning Indian weddings at this venue. These planners work with the couple to help them choose a custom menu, a personalized event theme and design as well as the right entertainment. Having a wedding coordinator from the hotel will allow you to enjoy the day while they orchestrate things behind the scenes.